I’ve lived in DuPage County for the last 16 years. My wife, two sons, and chocolate lab all enjoy going for hikes in the forest on weekends. Over the years, we have also enjoyed volunteering as amphibian and bluebird monitors at Waterfall Glen in Darien and Greene Valley in Naperville/Woodridge, and have done a few Volunteer Restoration Workdays removing invasives at Mayslake Forest Preserve and lending a hand at Blackwell’s Native Plant Nursery. I grew up next to O’Hara Woods in Romeoville, so my childhood was filled with nature exploration in that forest with my family, childhood friends and alone. When I moved to DuPage County, I quickly found and appreciated the forest preserves across the county. 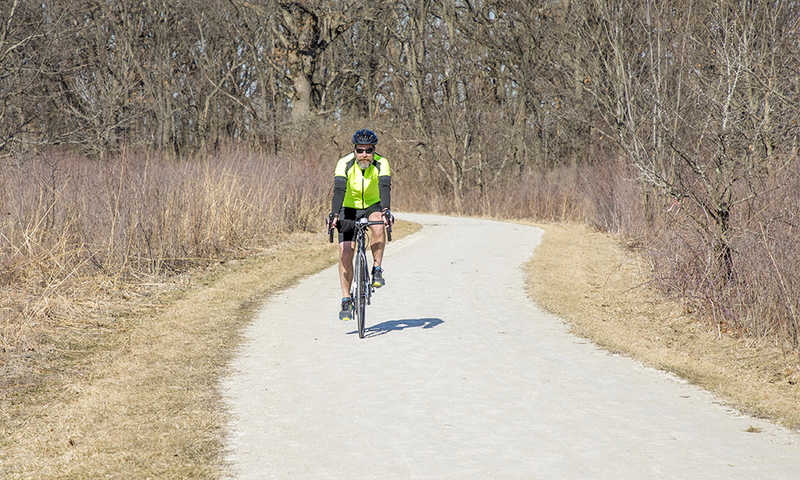 Adam Caulk rides on a trail at Greene Valley Forest Preserve in Naperville/Woodridge. I don’t have a membership to a gym. 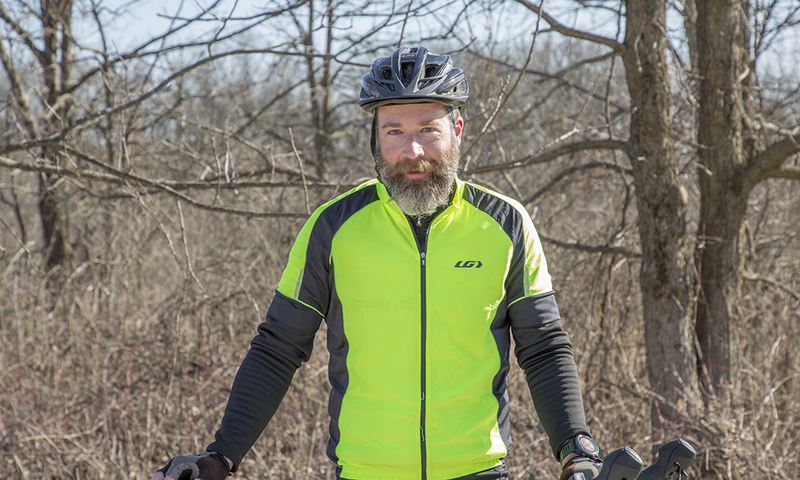 I find exercising (mostly running and cycling) outdoors — and specifically on one of the many trails in the forest preserves — more enjoyable and mentally stimulating. I often try to tally the number of bird species I see and hear on my route. Throughout the year, the sights, sounds and smells of the forest change, so it’s always a new and fresh experience. Spring is a particularly exciting time, with the sights of migrating birds and sounds of mating calls. I first caught the nature bug in my youth exploring the neighboring forests and on family vacations out west. As a young boy, I always enjoyed peeking under rotting logs to see what kinds of creatures I could find. As an adult, I enjoy nature on a larger scale on my annual weeklong backpacking trip with friends to one of our majestic public lands. 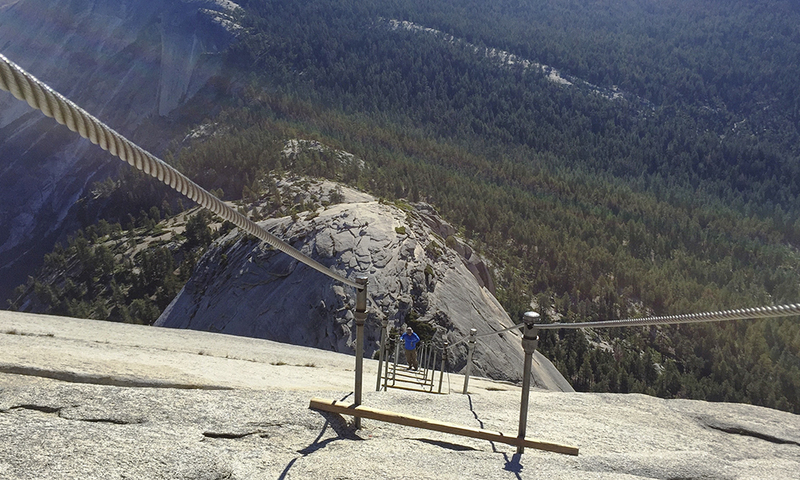 The last few years, destinations have included Glacier, Yosemite, Olympic, and Wind River Range. I mostly enjoy jogging and cycling through the preserves. 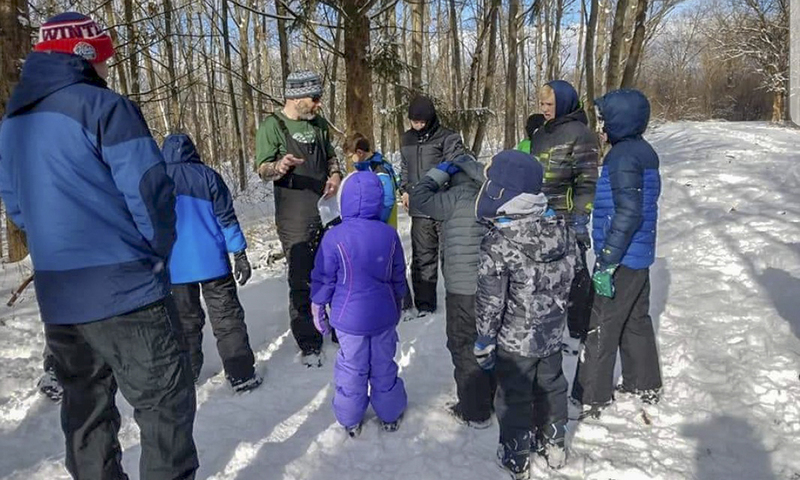 For the past few years, I have been leading my sons’ Cub Scout pack on a monthly hike — typically in a DuPage forest preserve — with the goal of getting those kids to learn, appreciate and respect nature. 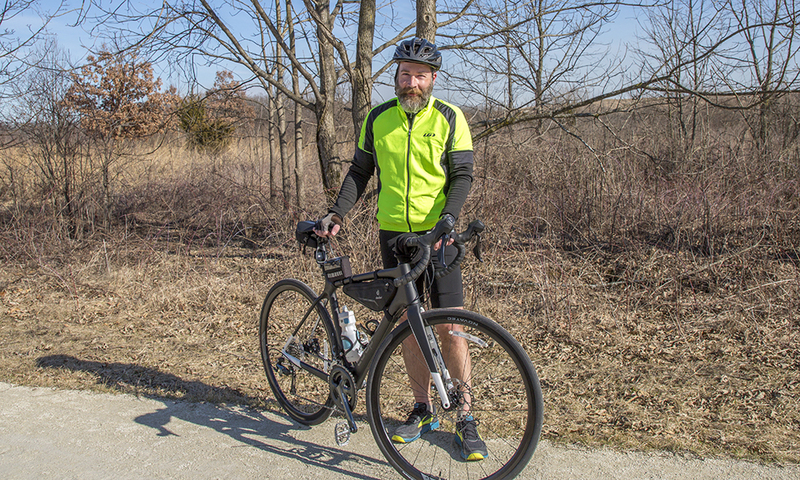 Back in 2016, I enjoyed organizing a ride along DuPage County Forest Preserve’s Century Trail to raise money for Willowbrook Wildlife Center. 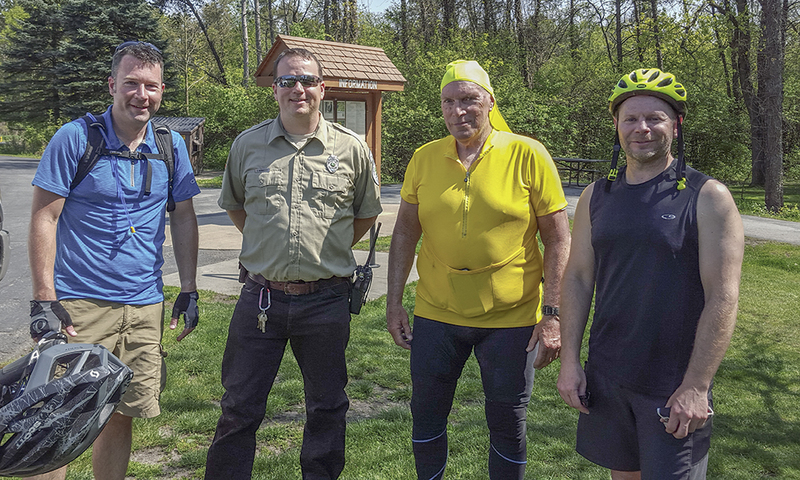 Our small group of riders peddled through 33 preserves along our 100-mile route, all within DuPage County. Spending time outdoors observing the local flora and fauna is inspirational to me. Passing that appreciation on to my boys has been very rewarding as well. Recently I have been inspired to incorporate a bunch of natives plants into my landscaping (mostly purchased from the Forest Preserve District of DuPage County’s Native Plant Sale) to attract wildlife. 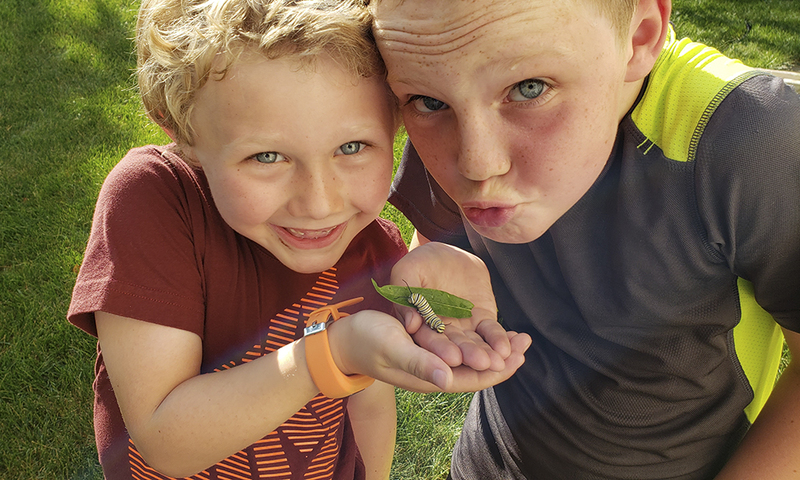 My family and neighbors got to witness quite a few monarch caterpillars turn to butterflies on the newly planted milkweed right outside our window, which is always fascinating. Get out to a forest, get off the trail and have a seat on a log. Look up at the canopy and wait quietly for the forest to come alive.